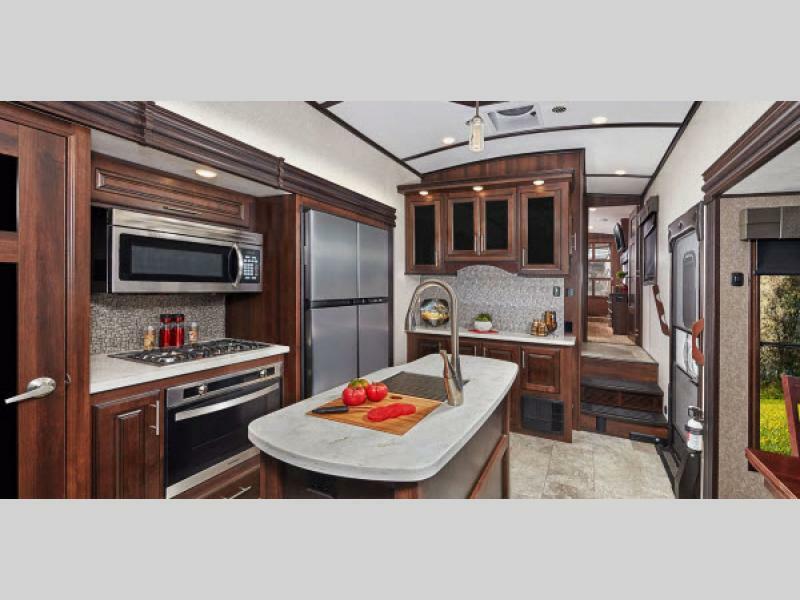 Looking for a fifth wheel that promises you comfort wherever you are? Look no further than the gorgeous Jayco North Point. 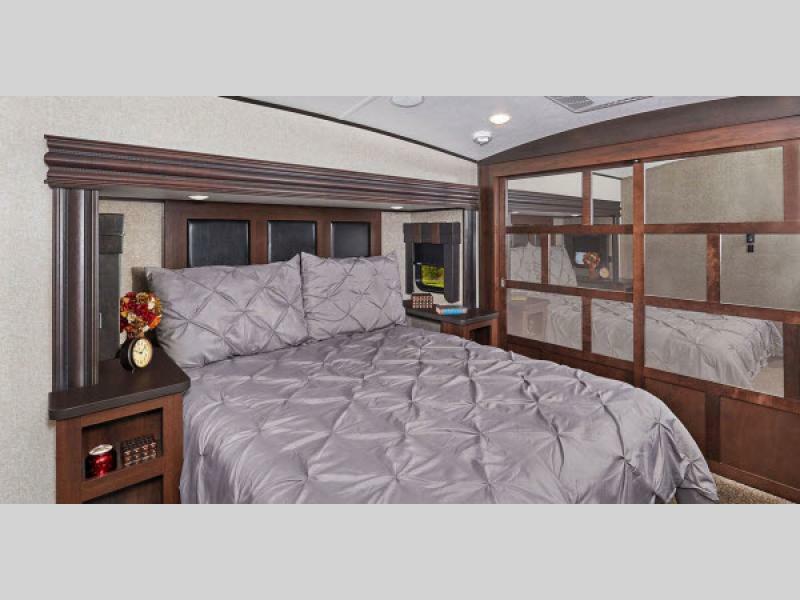 This RV was designed to provide you with an enjoyable, comfortable, and homey space wherever you are. Read our Jayco North Point fifth wheel review to learn more. At the end of the day there’s nothing more delightful than crawling into a freshly made bed. The North Point’s bedroom is a welcoming oasis that gets you away from the hectic hustle and bustle of life and allows you to enjoy your time on the road. If cooking great meals is something you enjoy, then you will love this spacious kitchen that offers luxurious appliances, tons of counterspace, and ample storage for all of your kitchen gadgets. After a long day there’s nothing like hopping in the shower and relaxing. Similarly, a spacious bathroom makes getting ready in the morning enjoyable. Every North Point floorplan comes with a huge bathroom that is sure to make your trip enjoyable wherever you are. 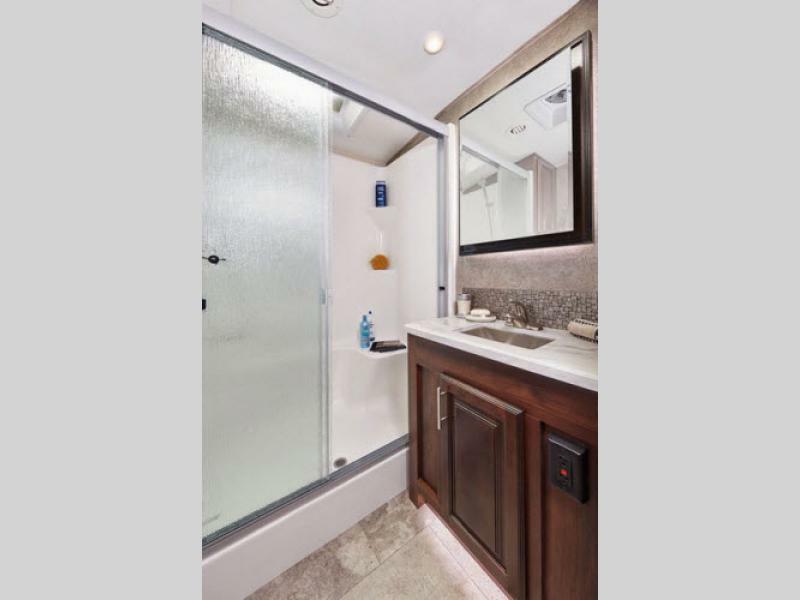 If you’re interested in learning more about our selection of Jayco North Point fifth wheels for sale, contact us. We can answer any questions you have, assist with RV financing, and get you on the road living the exciting and versatile RV lifestyle.